The answer is, not many people. That’s not surprising, given that it’s an emerging field. It’s moving forward fast, though, so there is an urgency to build programs that expose kids to AI and inspire the next generation of AI scientists. Although there are a number of challenges to teaching AI to kids, two big ones are creating standards-based age-appropriate lessons and finding teachers to teach them. Fortunately, many of the few nonprofits working in this area are beginning to address both these problems. In the next year or two there will be AI education guidelines for K-12 students, thanks to a partnership between the Association for the Advancement of Artificial Intelligence (AAAI) and the Computer Science Teachers Association (CSTA), and led by Carnegie Mellon University computer science professor David Touretzky. The “AI for K-12” project will define what students should learn about AI and machine learning by grade bands (K-2, 3-5, 6-8, 9-10, 11-12). The final product will include a curated, online resource directory for teachers to help them create lessons plans. The International Society for Technology in Education (ISTE) is doing more than offering online resources for teachers. ISTE launched a 30-hour course on teaching AI for teachers of grades 6-12. Although self-paced, the course includes instructor support. By the end of the course, teachers will be able to create AI curriculum and have the tools to implement it. The nonprofit AI4ALL, whose main program is AI summer camps for high school students at major universities, has embarked on an ambitious project to bring AI learning to all, as its name suggests. With a $1 million grant from Google, AI4ALL is developing an Open Learning Platform, set to debut in 2019. Details have not been released, but the platform promises to be “a free, accessible, online AI curriculum meant for understanding how AI works in your daily life or for sparking your technical journey.” Sounds exciting and transformative! 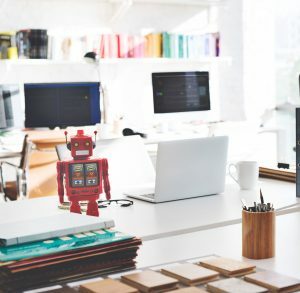 So if you are looking to add AI education to your grant portfolio, you can make a big difference by investing in the organizations working in this area. And you don’t have to be Google and donate $1 million, either. Student-run AI groups are springing up at local high schools, for example, and they can use support. So can AI hackathons and competitions. Or after-school programs that teach tech. There are lots of ways to dip your toe in the AI education waters. Or jump right in, if you’re so inclined! Still not sure? Please reach out; we are happy to guide you on this ground-breaking journey. This entry was posted in STEM Education. Bookmark the permalink.